The Flying Scott takes Silver at the IPC World Swimming Championships! Scott Quin continued this year's impressive form at the IPC World Swimming Championships at Tollcross Swimming Centre, Glasgow - with the man from Loanhead, Midlothian claiming silver and only losing out to the ever impressive Marc Evers from the Netherlands. The man with the lucky trunks will be hoping he gets the chance to wear them in Rio next year - it's all looking good!! 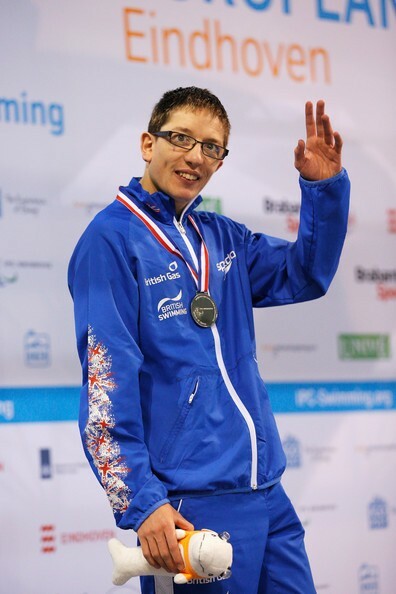 It has been an incredible month for East of Scotland swimmer Scott Quin who has proven to be amongst the very best in world swimming in the S14 classification for athletes with an intellectual disability. The Warrender Baths athlete was part of a winning Scotland team who attended the British Gas Disability Championships in Manchester in November and was one of nine East of Scotland swimmers who contributed to Scotland’s first success in ten years. On a personal level, Quin was in fine form as he took the Men’s SB14 100m breaststroke World Record, in a time of 1:07.38. This time is considerably faster than the qualifying time of 1.11.00 for the London Paralympic Games 2012, which Quin narrowly missed. Forward two years and it is clear he is on an upward curve and he is now a member of UK Sports World Class Podium programme. The talented swimmer continued this great form into the Scottish National Short Course Championships at the Royal Commonwealth Pool over the weekend. Competing in the men’s 100m breaststroke, the Mighty Quin posted a new World best time of 106.92 in the heats, breaking his own World Record! It is clear the 24 year old has excelled in recent months and we look forward to watching his progression towards the Paralympic Games in Rio 2016.